All silo construction types are subject to deterioration and potential collapse without a proper inspection schedule and ongoing maintenance program. Marietta Silos is the largest silo repair company in the United States. Proactive silo inspection and maintenance improves safety and cuts product losses. Concrete silos are used to store a variety of materials in energy, industrial and agricultural installations. Because concrete offers numerous advantages over steel in silo design and construction, concrete silos require minimal maintenance to sustain overall function. Predictive maintenance, however, is a critical factor in total life-cycle costs. A continuous silo inspection program supported by a proper preventive maintenance schedule will uncover inconspicuous wear or damage that compromise structural integrity, lead to unsafe working conditions and reduce silo utility value. All silo construction types are subject to deterioration and potential collapse without a proper inspection schedule and ongoing maintenance program. Like any construction material, concrete and steel are subject to deterioration from environmental conditions and structural stress from loading, unloading and daily silo operations during normal usage. This stress can cause cracking and deterioration of silo foundations, walls and linings, roofs, discharge cones and floors. Many other issues can only be identified through a more in-depth inspection process. Many insurance underwriters are starting to require periodic silo inspections. 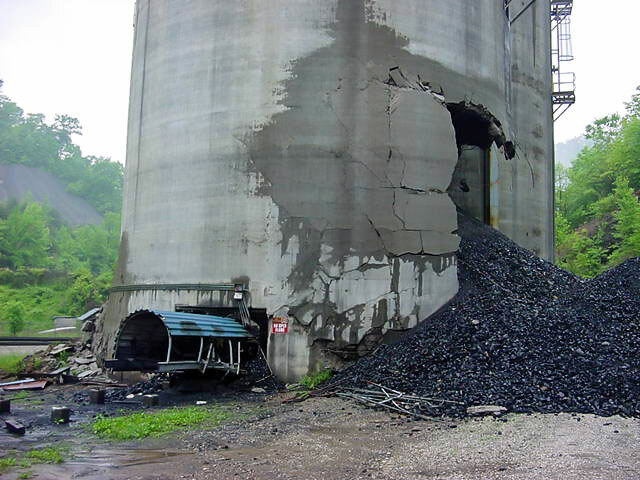 Silo inspection may result in findings that necessitate immediate silo repair to prevent further damage to the structure or to make it safe for your workers. Marietta Silos is the largest silo repair company in the United States and offers a host of options to complete emergency or long-needed repairs to your silo structure.